Our life is an earthen wick lamp. The light that burns in it is life. The individual soul clings to the light of life. It is Sadguru, the Perfect Master, who guides it towards the Light of God. Longing for the Grace of the God-Guru, if a devotee takes one step forward, the spark of attachment gets ignited by the flame of the Spirit-Light and enjoins with ego and both will burn up. Death of ego and attachment is the birth of self-liberation. The Divine Grace-Power helps the flower of devotion to blossom. By means of the power of discrimination which man's intellect has, man can discover the Divinity within him. Wisdom aids discretion. Intellect awakens discretion. Mind gets illumined in the light of intellect. Merit earned in the past birth reflects in the present birth as good thought-impressions in one's mind.If we are not vigilant, maya will pollute and pervert the minds and cloud our good thought-impressions. Baba can gradually weaken the hold of previous ill-deeds and lead us to perform righteous deeds. It is very difficult to describe the noble deeds of Baba who gifted us His Nectarine Name, bliss of His Form, virtues of charity and is instrumental in erasing our ego and pride and offer us the fruits of self-realization by destroying thoughts like "my" and "I". 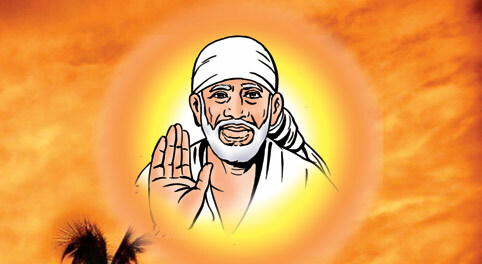 Let us listen to Baba's teachings and follow in His foot-steps to the true purpose of life.